Description: Copyright (c) 2000, 2007 & 2014 by The Fontry tm / Fontry West tm, (Michael Adkins & James Stirling.) All rights reserved. 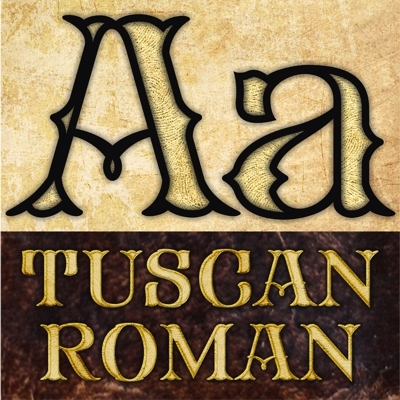 The first Tuscan lettering was penned in the mid-fourth century by the calligrapher Furius Dionysius Filocalus. The style was still in common usage as calligraphy when Vincent Figgins designed the first Antique Tuscan for print in 1817. 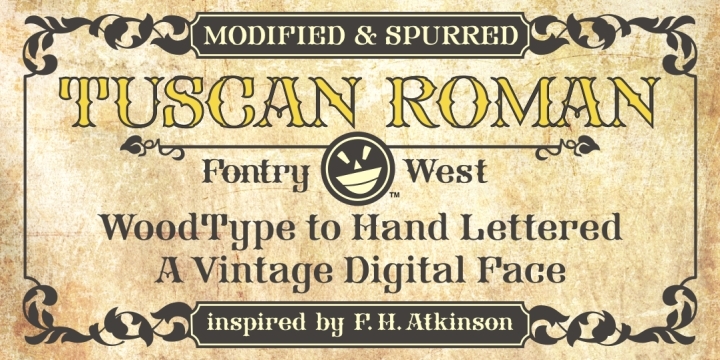 Antique and Gothic Tuscan woodtype fonts appeared in the 1830’s. 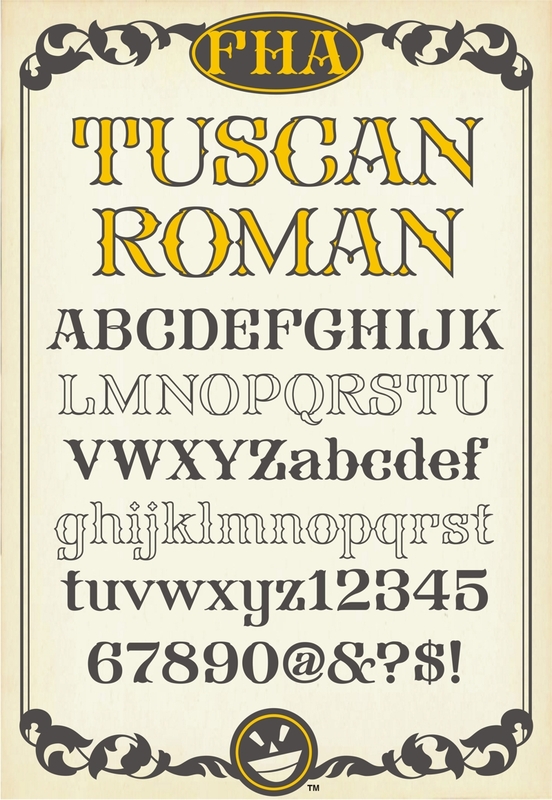 By the 1850’s, Tuscan fonts had become popular in America. 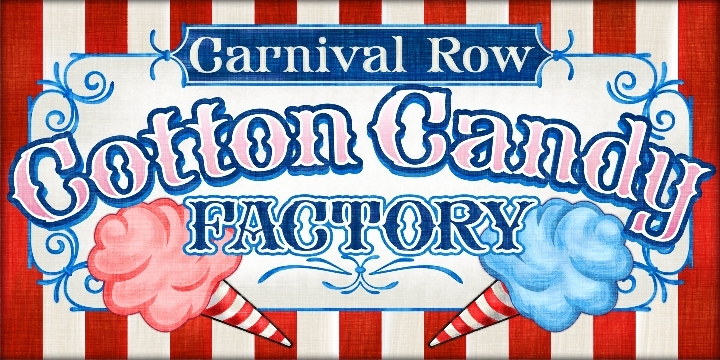 These styles continued in print use into the twentieth century. 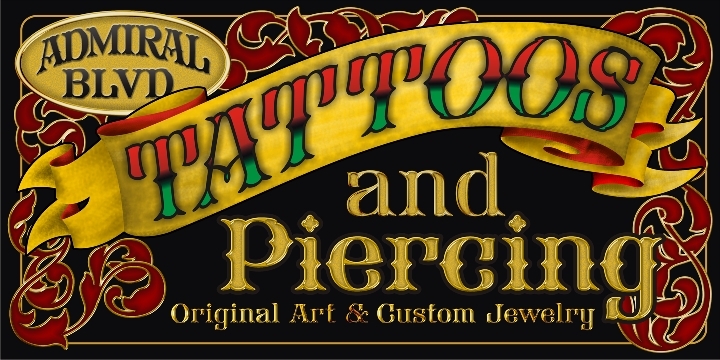 Tuscan Antique and Gothic styles, borrowed from print and calligraphy, were perfect for signs, posters, handbills and other large format advertising. Sign painter, Frank Atkinson demonstrated several Tuscan forms in his book Sign Painting, A Complete Manual. Modified & Spurred Tuscan Romans were inspired by this and other works of the same period.